Have you ever wanted to visit the REACH sites at Dalton but could never make it during the hours they are open? Now visitors can take a self-guided tour through the Rice-Upshaw site due to the instillation of interpretive panels. 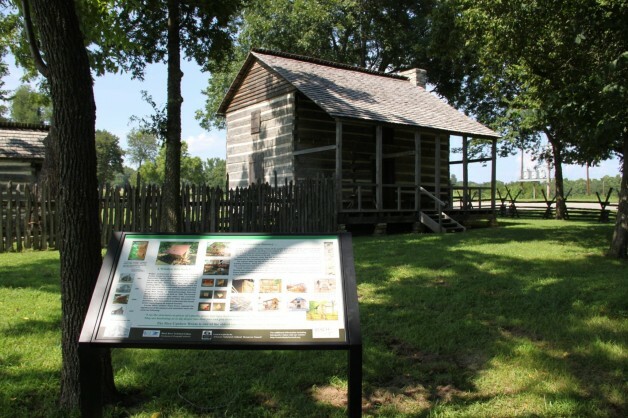 In 2013 BRTC was awarded a grant from the Arkansas Natural and Cultural Resources Council which included the instillation of interpretive panels at both the Rice-Upshaw site as well as the William Looney Tavern. These panels explore many topics including trade at Reuben Rice’s, farming in Davidson Township, various skilled craftsmen in the area, and more. The panels at the William Looney Tavern still can only be seen during open hours since the tavern is located on private property. The REACH sites will be open for tours Saturday, August 15th from 9:00 a.m. to noon. Come for a visit, and see the progress being made at the sites! Admission is $3.00 per person ages five and older and includes a tour of both the historic Rice-Upshaw site and the Looney Tavern. Admission is free for children under the age of five. The REACH sites are open for tours every Tuesday from 9 a.m. to 3 p.m. as well as the second Saturday of each month from 9 a.m. to noon through October. For more information regarding the REACH sites, please contact BRTC’S Office of Institutional Advancement at 870-248-4189.